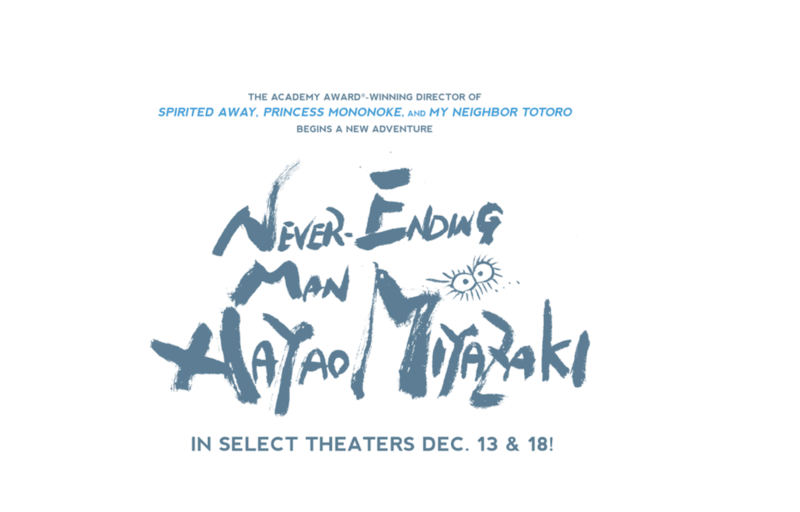 Although esteemed Academy Award®-winning film director and animator Hayao Miyazaki suddenly announced his retirement in 2013 at the age of 72, he can’t shake his burning desire to create. After an encounter with young CGI animators, Miyazaki embarks on a new project to use CGI for the first time ever. But the artist, who has been adamant about hand-drawn animation, confronts many challenges that threaten to cancel the film. Can an old master who thinks he’s past his prime shine once again? In this documentary filmmaker Kaku Arakawa goes behind the scenes for more than two years as Miyazaki overcomes struggles to create his short film Boro the Caterpillar using CGI. Arakawa is a one-man production band: He worked without a crew and shot the entire documentary with one handheld camera. Enjoy this VICE interview with Ararkawa from April of 2017. Follow the legend’s discovery of new technology for two nights only, December 13 and 18 at select theaters. This special opportunity is presented by GKIDS, a New York-based producer and distributor of award-winning feature animation for both adult and family audiences that handles North American distribution for the famed Studio Ghibli library of films. The film is in Japanese with English subtitles. For a full list of theaters and to purchase tickets, please visit gkidstickets.com.